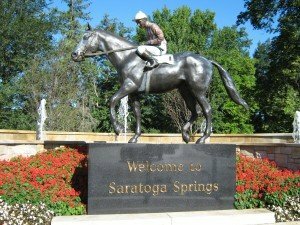 With all 50,000 tickets for Saturday’s 146th running of the Travers Stakes at Saratoga sold out, and American Pharoah, the first horse to win the Triple Crown in 37 years, set to gallop 1 and 1/2 miles this morning in a workout at the track, open to the public and free of charge, to take the early morning drive north from my home in Albany to Saratoga Springs was irresistible. 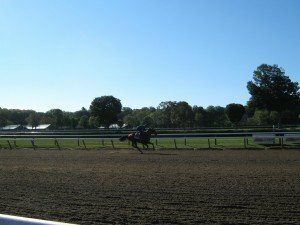 The champion horse’s workout, viewed by over 15,000 fans, was of historic proportions for the famous racetrack. American Pharaoh galloped past, and standing at the rail, the excitement of the crowd was palpable as many attempted to record the occasion. 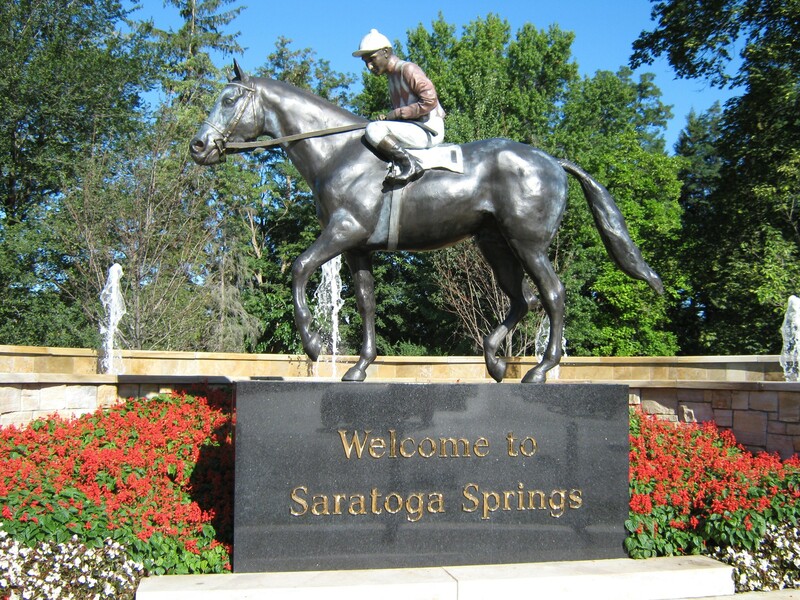 Saratoga Springs has become a beacon of economic prosperity in upstate New York, attracting an increasing population of year-round residents as well as a popular destination for tourists and convention goers. 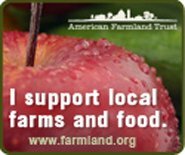 It has also become a mecca for farm to table dining, with a dozen options included in the New York dining directory on this website. 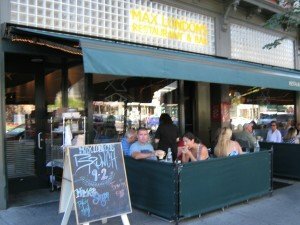 Fortunately, American Pharoah’s morning workout was on a Friday, so my early morning jaunt to the track for the morning workout, could be topped off with brunch (served only on weekends) at Max London’s on Saratoga Springs’ Broadway, the main street of this bustling small city. Arriving late morning for brunch, I passed on the substantial offerings of a steak omelette, soup + salad, or the surprising option of breakfast pizza, though the Full English Breakfast Pizza of breakfast sausage, bacon, ham, roasted cherry tomatoes, mushrooms, fontina, cheddar, baked egg + maple syrup ($15.00) seemed like an extraordinary way to fire up the engine, even for this mostly vegetarian diner. 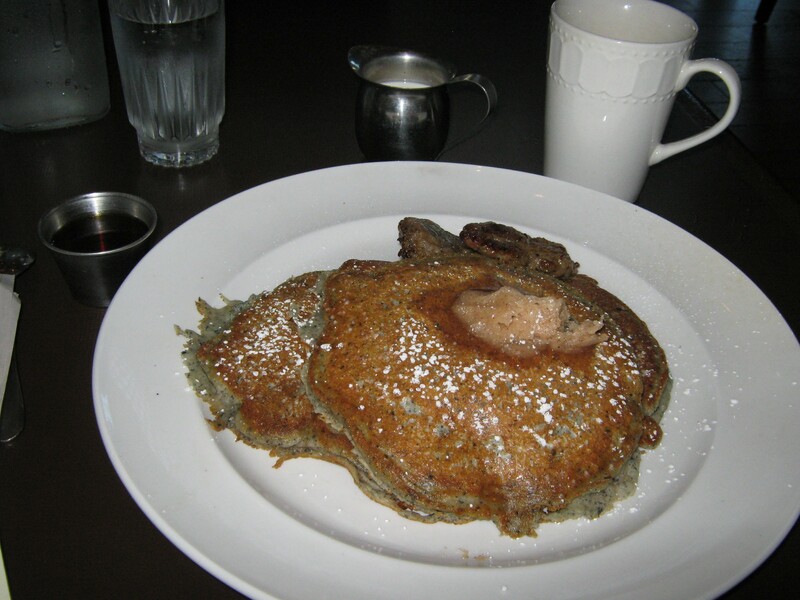 But with a friend having sung the praises of Max London’s blue corn, buttermilk pancakes ($12.00), the choice was easy. And what a satisfying breakfast. The tasty pancakes with the distinctive flavor of blue corn, topped with rich cinnamon flavored butter and sweet and salty golden New York maple syrup, were rich tasting and special as promised. And I indulged in a side of homemade sausage patties (which came with the pancakes at no extra cost), flavored perfectly with just the right peppery zest, complementing the sweet pancakes. Win or lose at the racetrack, brunch at Max London’s is a nice reward after a day or a morning at the track. Nonetheless, here’s hoping American Pharoah makes history tomorrow at Saratoga.